The recently concluded India-China summit meeting may have, at the very least, established a new tone and tenor in the relationship between the two Himalayan neighbors. The Border Defence Cooperation Agreement, the new communication mechanism on water, the thrust on exchanging experiences and expertise on road and highways, and cooperation on an “Asian knowledge system” through the Nalanda University project are all important and substantial steps to take this partnership forward. There was some useful progress on economic cooperation as well, although more was expected from the two leaders to facilitate greater two-way trade, business exchanges and Chinese investments in India’s infrastructure projects. And there was disappointment in some quarters when bilateral rigidity ensured lack of movement in liberalizing the visa regime. But for those who see the India-China relationship as one of the key partnerships of this century, what is most disappointing is the lack of ambition in the agenda for the conversations. The two countries now need to be bold and creative in what they do together. 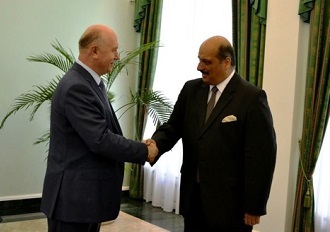 The two must seek to finalize a civil nuclear cooperation agreement. This gives China a credible financial stake in the Indian civil nuclear sector and the motivation to reject its dogma of “capping and rolling back” India’s nuclear program. This would also potentially facilitate India’s entry into the global nuclear order. 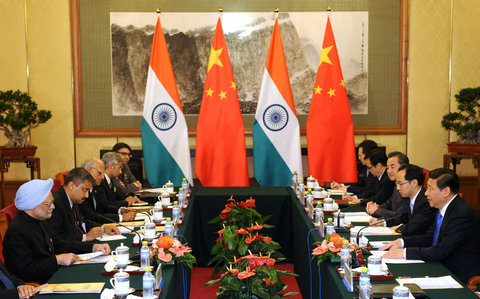 India is concerned about the opacity of China’s interests in the Indian Ocean. The two need to proactively engage instead of producing alarmist literature. Their naval and strategic leaderships need to commence frank discussions on common approaches and discover synergies in protecting the sea lines of communication. India and China have piggybacked on US capabilities in the past, and may have to soon develop and deploy their own capacities. Be it in anti-piracy operations or humanitarian evacuation, there is ample scope for coordination and cooperation. Both nations have large diasporas in Africa and West Asia. In Libya, for example, both countries sent their ships to evacuate their citizens. Such coincidence of interests and needs must be mapped, and actions synchronised. The two countries need to thrash out a common understanding on cyber governance. China seeks to be a stakeholder in India’s communication sector, for which the level of trust between the two countries needs to be enhanced. A significant share of the world’s commerce has become dependent on the digital realm. This commerce is the key to prosperity of both countries, and yet much of the discourse on cyber management emanates from, and key infrastructure resides in, the Atlantic countries. Bilateral cooperation on the ongoing international dialogue on Internet governance and on issues relating to development of related infrastructure and connectivity is essential. China and India must realize that a strong and stable Afghanistan and Pakistan are in their interest and vital for the stability of the region. For far too long, India and China have allowed the situation to drift out of strategic or other considerations. A dialogue on aiding the development and growth of these countries must commence between the Asian giants. China, as a trusted ally of Pakistan, and India, as a friend of the Afghan people, can together help in rebuilding and reintegrating these parts into the Asian economic mainstream. Both countries also have similar interests and stakes in outer space and ocean governance. They are handicapped by the fact that they are new voices in the normative debates on these subjects. This is the moment to evolve a common position before entering larger negotiations with an individual weak hand. The two countries need to come up with tangible alternatives in what is today a one-way norm setting exercise in these new arenas of governance, with the opposition too divided to have any impact. Ultimately, we may find that our converging interests bind us more closely than we would have imagined or, for some, liked. Dealing with this will require bold political leadership on both sides and a pragmatic desire to integrate our largely coincident aspirations. Kyodo News-Pool/Getty ImagesManmohan Singh, left, prime minister of India, holding talks with Xi Jinping, president of China, sitting right opposite Mr. Singh, in Beijing, China, on Wednesday. 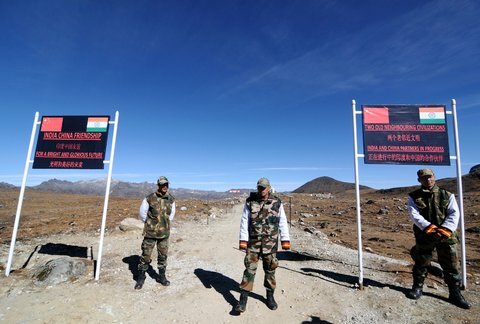 Biju Boro/Agence France-Presse — Getty ImagesIndian army personnel at the India-China border at Bumla pass in Arunachal Pradesh, on Oct. 21, 2010.
of sovereignty as we know them. applied to foreigners, be they resident in America or their respective countries. freedom the US once held sacred. If former President George W. Bush Jr.
painted Snowden in a poor light. in fact protected. The EU released its cyber security doctrine earlier this year. ‘Keep Cyberspace Free’, Times of India, 12 September 2013. Snowden issue came into public focus – paying mere lip service to privacy. on the one hand, and a complete lack of enforcement, on the other. in India in the mean while has no respite. in a given context. And, privacy is not the same as security or anonymity. how different governments and societies reacted to the Snowden revelations. this is why breach of privacy in the digital sphere seems more acceptable. visible; there was a policeman on the road, a camera on the kerb, and so on. redefining privacy norms, property and sovereignty. information – usually in blocks – but not governments. disparate packets into a comprehensive whole. surveillance by the government. The private sector has turned out to be the governments’ Trojan Horse. cause and present it to the judge. product the customer would in fact buy or be very interested in acquiring. acceptable basis for conviction and punishment without a date in court. sections of it and more under the fair use exceptions to the copyright act. and right to the property has altered dramatically. legislation to force just one kind of transaction which favours the vendor. before they commit their crimes. University Press, New York, 2007.
to the one playback device. of the world, companies operating outside the US must follow US law. and by implication sovereignty itself has acquired a new meaning. better or worse, what India has tacitly accepted is US extraterritoriality. cyberspace and as such the issue needs to be dealt with sui generis. precisely because of the absence of sovereignty and artificial barriers. world, allowing seamless interaction and massive increases in productivity. should commercial interests allow the idea of property to be redefined? privacy, freedom of expression and property rights to be compromised? 10. A. Casesse, International Law 81 (2nd edition), 2005. Adam Smith once wrote that “to widen the market and to narrow the competition is always the interest of the dealers,” and that therefore any proposal for a regulation or policy that flows within this order, must be “carefully examined”. Adam Smith lived in simpler times. As the Prime Minister Manmohan Singh concludes his trip to Washington DC, there is palpable pressure on the Indian government to open up the e-commerce space to foreign players. Large American e-commerce companies are already knocking on the door and reports suggest that one of the senior-most functionaries reporting to the Prime Minister has been given the task of shepherding this process and is seeking response from the DIPP on the underlying issues. There are three popular narratives on the opening up of the Indian e-commerce sector to FDI and all of them are somewhat simplified, facetious and misleading. One perspective is that the opening up of the sector will be an Indian payback, a veritable payout, for US support in the civil nuclear mainstreaming of India. Another is that delay in allowing FDI in e-commerce is part of the policy clutter created by this government, an unintended situation, to which the only suitable response is unencumbered liberalisation. And the third is that FDI in online space is a matter of national priority, and sovereignty over the e-commerce space must not be ceded to multi-nationals. The narrative on paying back the Americans is easily refuted. India must be sure enough to bargain for only what is in consonance with its core self-interests. Surely, stable and resilient growth of domestic manufacturing and industry is a core interest. India is as at a crossroads. Policy decisions taken now are likely to determine whether the country is able to harness the transformative power of SME’s using the access and reach of e-commerce, or whether a haphazard and hurried policy framework is going to hinder the organic growth for the largest employer in the country. The narrative on the policy clutter can be cross-examined through the growth story of the Chinese e-commerce giant, the Alibaba Group. Alibaba was established in China in 1999, initially funded through a Venture Capital infusion of $5 million by Goldman Sachs. Prior to China’s WTO ascension, FDI in the sector was not allowed and even now, a local partner is a prerequisite to entering the e-commerce space. However, this has not limited Alibaba’s growth, which has been predicated on a larger state-run economic strategy centred on the SME sector and domestic industrial competitiveness. China has over 40 million SMEs, many of which are sellers and buyers on the Alibaba platform. The company’s innovative products have created shared value, supporting the SME ecosystem. Through its finance arm, the company has deployed loans to over 10 million Chinese SMEs, therefore facilitating core policy objectives of the Chinese state such as financial inclusion and timely credit provision. In all of this, of course, the consumer benefits, with lower transaction costs both in terms of average time spent in sourcing products and cost competitiveness. Sales through Alibaba’s online marketplace are expected to surpass those of the total e-commerce market in the United States by the end of the year. Last year, two of its portals handled around $170 billion in sales. Alibaba’s much publicised and imminent IPO is now likely to be in New York. The company is likely to be valued at around $70 billion. This is significant value creation given its modest beginnings – and indeed value creation must be the strategic objective of any enabling industrial policy; a lesson for India. In the outlined context, the third narrative on sovereignty over the e-commerce space also appears to be a conflation of hazy opinions. There is no doubt that as India integrates into the global economy with its incumbent need for long term capital formation, opening up various growth sectors to FDI is not an inevitable option. This does not change the fact that there are a number of technical operational issues that require careful examination, not just by the bureaucrats at DIPP, but also by the legal fraternity, the tax collector, SME sector stakeholders and representatives from allied sectors including telecommunications and banking. Indeed, an inclusive consultative process is an unfulfilled prerequisite. This must be steered by organisations such as the Competition Commission of India, a body which is supposed to function on a proactive mandate in order to obviate the need for a convoluted or retrospective regulatory ring-fence. India represents a nascent e-commerce market, which is certain to grow exponentially as internet penetration rates improve and consumption patterns evolve. Estimated revenues from online retailing in India are expected to be at $15 billion by 2015 and $125-160 billion by 2025. While many home-grown Alibabas can be created, in the absence of a robust legal framework, particularly around warranty, fraud and data protection issues, the consumer, is left vulnerable to the metaphorical ’40 thieves’ as the industry expands. The IT Act is certainly insufficient and clarifications are required in the Competition Act, on among other things, unfair trade practices or restrictive trade practices, before the FDI question is resolved. To sequence Indian priorities on the FDI question is fairly simple. Consumer-centrism is paramount. Competitive SME sector growth, which will lead to job creation as well as value addition, is a strategic economic priority, which in turn can be aided by a strong e-commerce industry as has been witnessed in China. While e-commerce must eventually resemble a highway without speed limits, the lanes leading up to the highway must be strengthened to allow for unfettered access. “A Long Term Vision for BRICS”, produced by Observer Research Foundation, was released on Friday (20 September) by the Secretary (Economic Relations) in the Ministry of External Affairs and India’s Sherpa to BRICS, Mr Pinak Ranjan Chakravarty. This Report, which had incorporated the first round of feedback received from within the Track II network, was submitted to the 5th BRICS Academic Forum this year in South Africa. ORF is a member of the BRICS Think Tanks Council set up by the leaders at the BRICS Summit in Durban in March this year. The BRICS long term vision report includes five prominent agendas of cooperation and collaboration which are integral to the very idea of long term engagement between the BRICS nations and provide a framework for accelerating momentum and increasing significance over the long term. 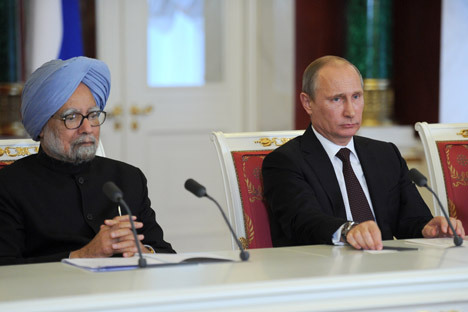 Reform of global, political and economic governance institutions is the centrepiece of the BRICS agenda. Multilateral leverage, furthering market integration, intra-BRICS development platform and sharing of indigenous and development knowledge and innovation experiences across key sectors are the other thrust areas envisioned in the report. Releasing the Report, Mr. Chakravarty said the five countries may follow some of the recommendations to share indigenous and development knowledge and innovation experiences across key sectors. “There is a lot to learn from each other and develop a high level of cooperation in select areas in BRICS as well as contribute collective capabilities to the global discourse,” Mr Chakravarty said. He said while it is true that the international governance architecture requires a significant overhaul, there is a lot of work to be done domestically and among BRICS members as well. Mr Dinesh Bhatia, Joint Secretary, MEA, noted that even Mr Jim O Neill of Goldman Sachs fame and credited with first deploying the BRIC acronym, has also commented on the report. Mr Neill has also emphasised that global governance must become more plural, with the BRICS playing a commensurately larger role. Mr. Samir Saran, lead author and Vice President, ORF, said there is an urgent need for the five BRICS countries, which constitute around 40 percent of the world population and responsible for about half of the global growth, “need to sit on the same table and discuss and frame rules for the new road”. Besides Samir Saran, the Report is authored by Mr Ashok Kumar Singh, Senior Fellow, and Mr Vivan Sharan, Associate Fellow, Observer Research Foundation, with lots of inputs and cooperation from the Ministry of External Affairs.